1. Matthew 5:9 says, “Blessed are the peacemakers. . .” What are peacemakers? Is it possible to make peace between other people? 2. We read in Philippians 4:2-3 that there was a problem in the church in Philippi. Two women, Euodia and Syntyche, weren’t getting along. They had been arguing with each other, and other people in the church were taking sides, which was causing problems for the whole church. Paul the apostle wrote a letter to the church begging the two women to remember that they were both Christians. He also asked others in the church to be peacemakers and help restore peace. He went on to say that Christians should be so much at peace that others can tell just by looking at them. Think about what it means to be a peacemaker and at peace with others as you listen to today’s episode. 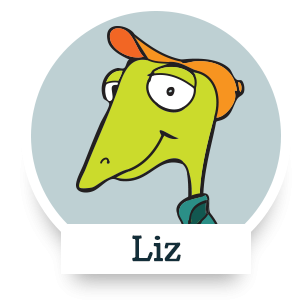 In this episode, Liz and his friends were challenged to be peacemakers. 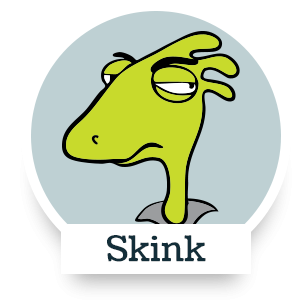 Liz found it difficult, but he managed to keep Spike and Skink from fighting. Lucille tried to make peace with her mean neighbor, but things didn’t work out the way she wanted. As Lucille found out in today’s episode, there are always going to be people in our lives who just don’t want to be at peace. The Lord understands this. In Romans 12:18 the Apostle Paul said, “as far as it depends on you, live at peace with everyone.” This means that if we aren’t getting along with someone, we should make sure it isn’t our fault. We should always be ready if the other person is willing to stop arguing or fighting. Another way to say it is this: Be part of the solution, not part of the problem. Want to dig deeper into how to be a peacemaker? Check out Psalm 34:14; Proverbs 12:20; Romans 12:17-21. 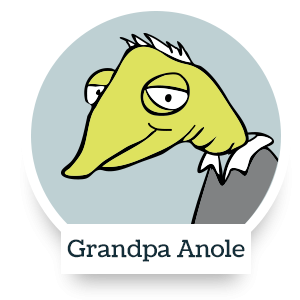 What were the kids studying in Grandpa Anole’s church school class? What did Grandpa Anole challenge the class to do? 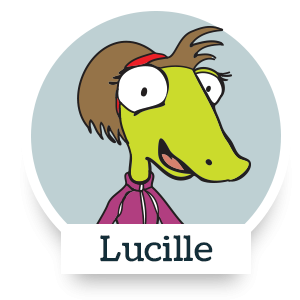 What did Lucille’s mom challenge her to do for her project? Make friends with her neighbor Mrs. Trollscales. How was Liz a peacemaker? 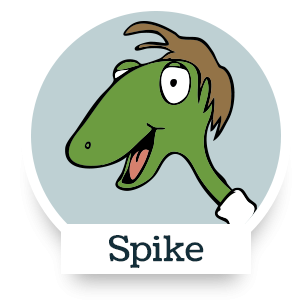 He kept Spike from fighting with Skink. There are many versions of the "Prayer of St. Francis", both as poems and as songs. Find a version online and sing it with your family. 1 Make me a channel of your peace. 2 Make me a channel of your peace. 3 Make me a channel of your peace.